Consumption of tobacco is just a primary way in which tobacco is harming us. Tobacco farming is another way by which tobacco affects our health adversely. Land that is being used to produce tobacco should be used to produce food. Importing food will only cost more. While consumption of tobacco is just a primary way in which tobacco is harming us, tobacco farming is another way by which tobacco affects our health adversely. As researches have elucidated, when tobacco is produced, it contributes to world hunger. Under the subsection “Diversion of Land Use to Non-Productive Use- The Tobacco Industry”, the author debates how tobacco farming impacts on food production and promotes world hunger as huge portions of land is already reserved for the production of tobacco. 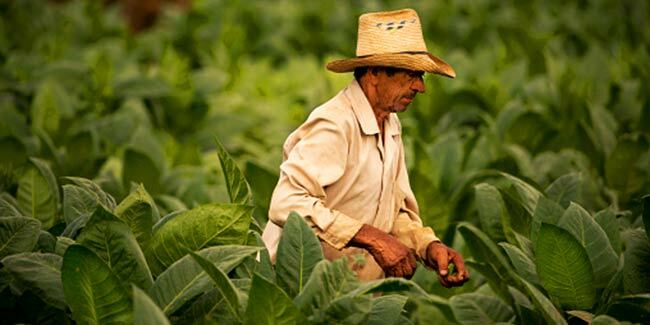 It becomes apparent that if the land is being used for tobacco farming, it cannot be used to produce food. In poor countries, it is a major problem because it is not affordable for them to import food that could have been produced on land that is already being used to produce tobacco. Well, indeed it is not right that lesser amount of food is available because something so toxic is produced. This is how world hunger is increasing. Tobacco is being produced even after being aware of harms of tobacco farming. In his book, Big Business Poor Peoples; The Impact of Transnational Corporations on the World’s Poor, John Madeley writes that as per Dr. Judith McKay’s claims, “tobacco’s “minor” use of land denies 10 to 20 million people of food.” The question remains same, why such huge number of people is being starved because such a harmful commercial product as tobacco is in production? Although it is evident that there are countries in the world that waste food but that is more of a per production issue. The point is that the land that is being used to produce tobacco in countries, which are developed or still in development process, should be used for food production. Importing food will only cost more.